The past month has seen Swan, Shakespeare’s Globe make headlines across London’s food press as journalists and critics announced the appointment of Allan Pickett as our new Executive Chef — and then flocked in to review. The trade press were characteristically quick off the mark, with Big Hospitality, The Caterer, Hospitality & Catering News and Hospitality FB all revealing the new appointment to their thousands of readers. More interest from the industry followed, with Craft Guild of Chefs sharing the news, showing how well respected Allan Pickett is in chef circles. Consumer interest in the appointment was also high, with both Harden’s and Hot Dinners building excitement about our new chef and his spring menu, pushing Swan to become among the most talked about tables in town. And that’s not to mention a swarm of activity across Twitter and other social networks. And that was just the beginning. Several of the city’s top food journalists and bloggers were quick to visit and revisit the restaurant to see the changes Allan has made and give their professional verdict. Any chef or restaurateur will tell you how nerve-racking it is to be reviewed, but we were always confident Allan’s menu would get a rave reception and we have been proved right. The Evening Standard was among the first to review the new menu, describing Allan’s cooking as “resolutely British, and rather classic with it”, and praising dishes that were “exemplary in their execution”. London On The Inside was also keen. 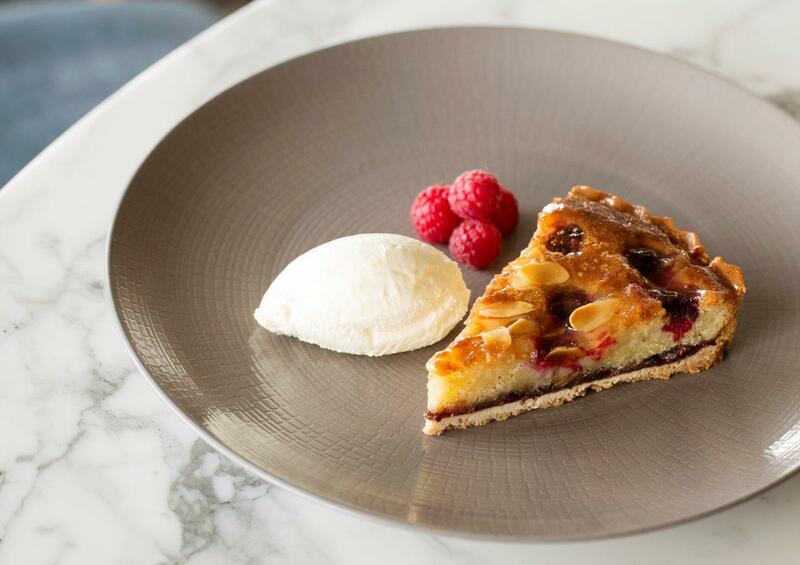 They said that “whether you’re in the mood for something light or fancy being a bit more indulgent, the spring menu has all the bases covered” and even declared: “Swan should be your go-to spot on Bankside”. We agree. Square Meal gave Swan, Shakespeare’s Globe two of its highly-coveted stars — meaning “very good” — and said of the new-look menu: “the Swan’s second act deserves to break a leg”. The anonymous eater known as the Dumb Waiter who features regularly in Code Hospitality also came in, and described excitement at Allan’s appointment. And because some things about Swan never change, there was also a mention for our “beautiful view”. We will never get bored of our stunning backdrop overlooking the Thames.